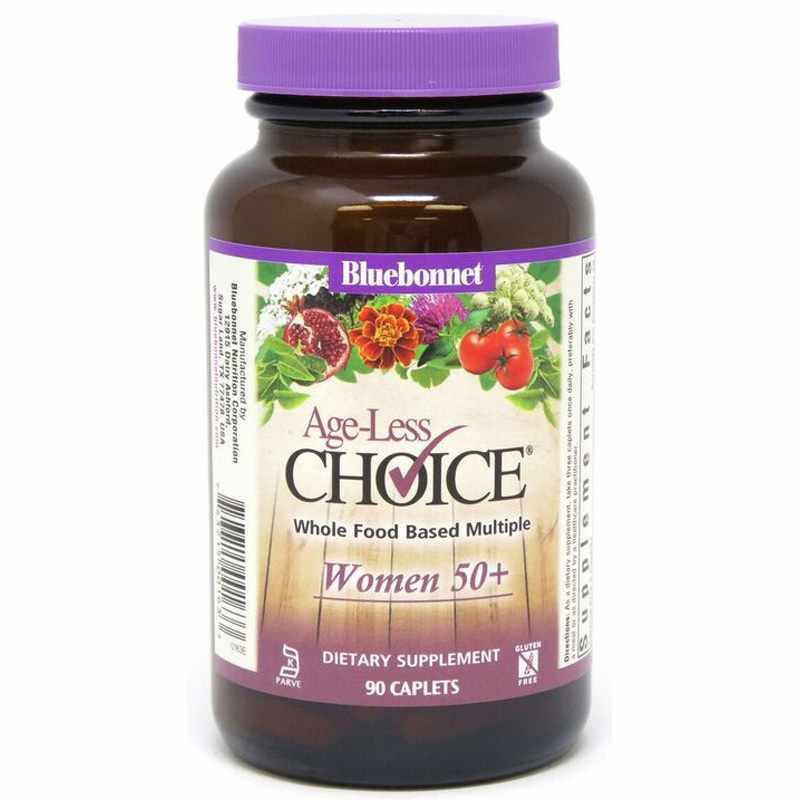 Age-Less Choice for Women 50+ from Bluebonnet is intended to support a healthy aging process in women who are 50 and over. This supplement contains a wide array of vitamins, minerals, herbs, and other nutrients intended to support the health of aging women. The herb black cohosh has been used to help support women who experienced symptoms of menopause, while the herb dong quai has been used to help support healthy menstruation. 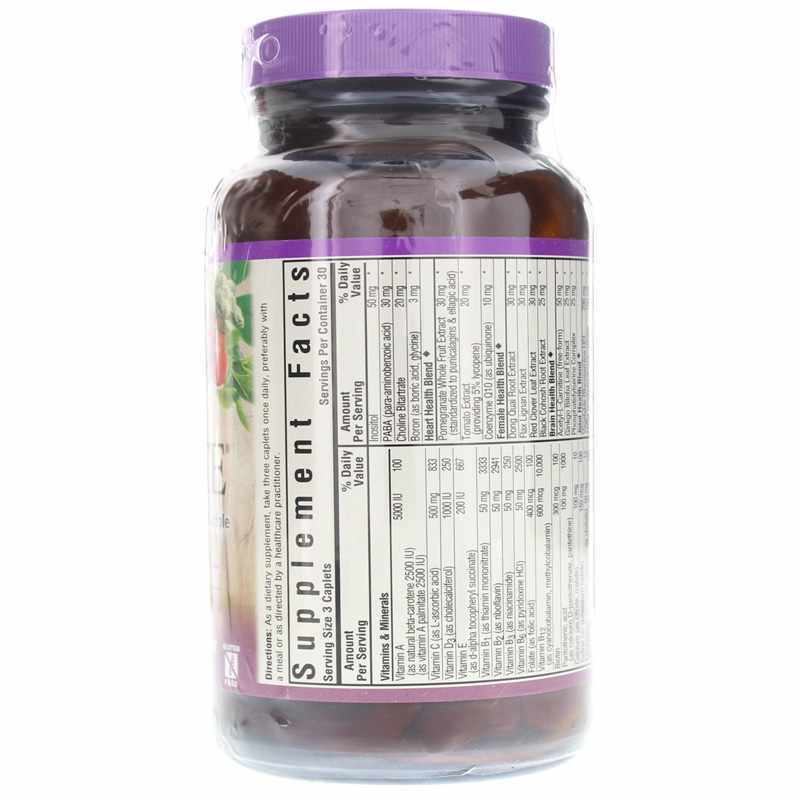 This supplement is intended to provide cardiovascular support for women with tomato extract and CoQ10. This multinutrient supplement is also intended to provide antioxidant support with turmeric and green, white, and black tea extracts. Natural results of aging include energy loss and potential mental decline. An array of B-complex vitamins is included in this supplement, which may help to promote energy production and neurological health. Also included to promote neurological health is gingko biloba and phosphatidylserine. Joint and bone health may also be a concern for women as they age. This supplement incudes calcium, vitamin D3, and magnesium, which may help to promote bone health. It also includes vegetable glucosamine and MSM intended to promote healthy joints. As a dietary supplement, adults may take three caplets of the multivitamin once per day, preferably with a meal or as directed by a healthcare professional. Other Ingredients: Vegetable cellulose, stearic acid, vegetable magnesium stearate, vegetable beet glaze. Contains: Soybeans. Contains NO: milk, egg, fish, crustacean shellfish, tree nuts, peanuts and wheat. Also free of gluten, barley and sugar. Adults: As a dietary supplement, take three caplets once daily, preferably with a meal or as recommended by a healthcare professional. 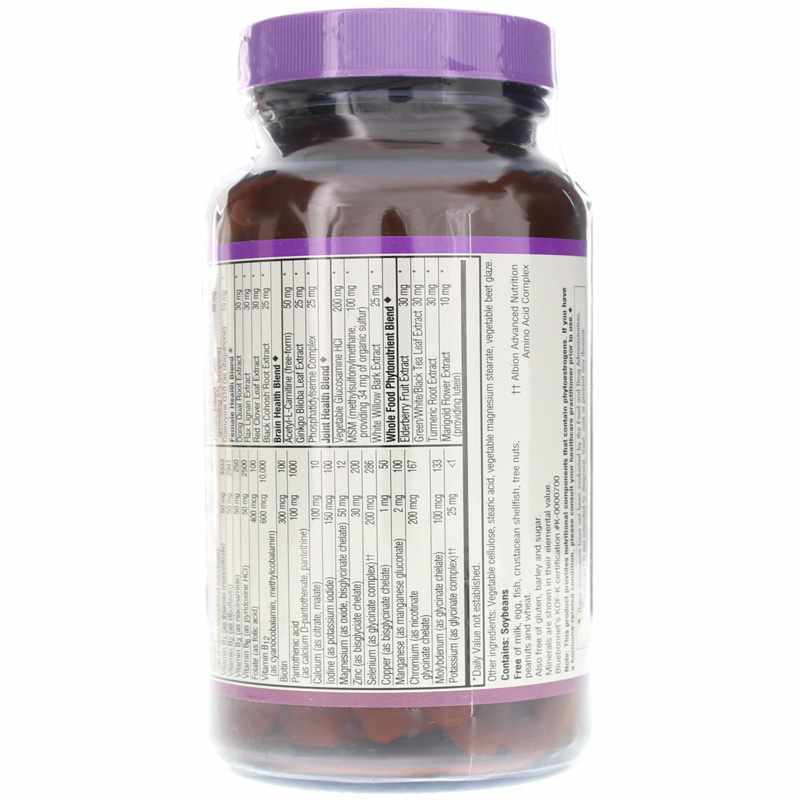 This product provides nutritional components that contain phytoestrogens. If you have any hormone-related conditions, please consult your healthcare practitioner prior to use. If you are pregnant or nursing, please consult your healthcare professional before using this product. Keep out of the reach of children. Age-Less Choice from Bluebonnet is my everyday support formula. It doesn't upset my stomach and I feel I have more energy.